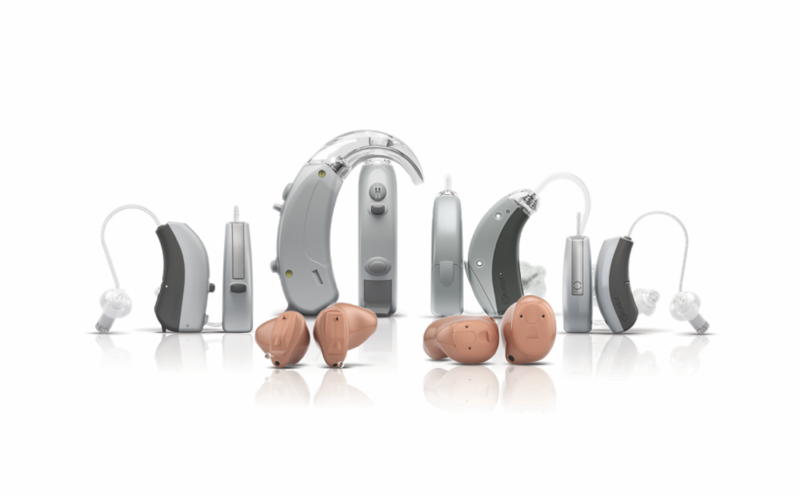 A wide range of technology and a host of features are available in each hearing aid style. The technology refers to the computer chip and signal processing that you are purchasing. The style refers to the type of shell that houses the technology. 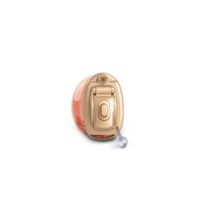 The cost of hearing aids generally depends on the technology and the number of features the instrument has and not necessarily on the style selected. 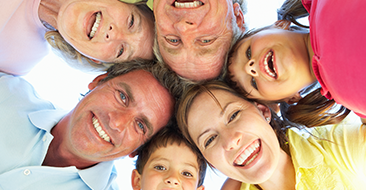 Hearing aids worn in the ear are usually custom-fit, based on an impression of the ear. They’re available in different skin tones to camouflage with the outer ear. These aids are contained in a tiny case that is custom fit partly or completely into the ear canal. They are the smallest aids available and offer some cosmetic and listening advantages. Our audiologists can determine if you are a good candidate for invisible-in-canal, or completely-in-the-canal technology. ITC instruments sit in the lower portion of the outer ear bowl, making them comfortable and easy to use. Because they’re slightly larger than CIC models, they have a longer battery life, and can host additional features such as directional microphones for better understanding in noisy environments, and controls such as volume controls. Full shell ITEs allow the maximum number of additional controls and features such as directional microphones, which require space on the outer portion of the instrument. 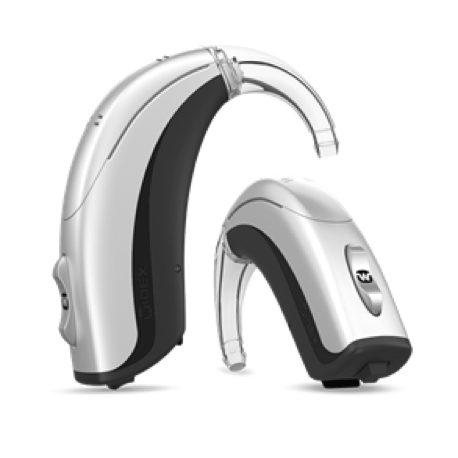 They use a larger battery size than the smaller styles, and can fit a larger receiver with enough power for even some severe hearing losses. 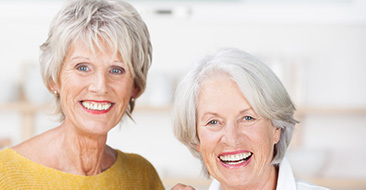 Because of their flexibility, they’re widely recommended for mild to severe hearing loss. 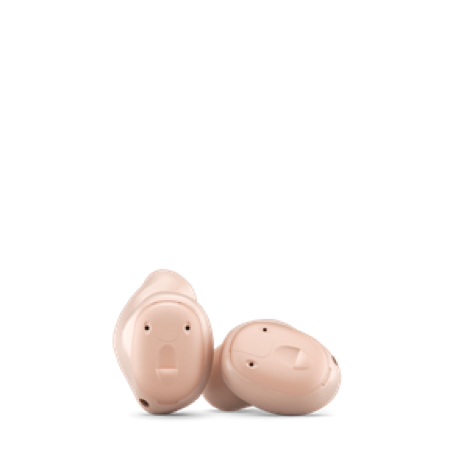 Behind-the-Ear (BTE) models sit behind or on top of the outer ear, with tubing that routes sounds down into the ear that connects to an ear tip or earmold to secure them in the ear canal. BTEs come in colors to blend with hair or skin tones, and even chrome colors, leopard print and other funky designs to suit personal styles. Different BTE sizes accommodate different features, controls, battery types and degrees of power (larger instruments generally have more power than smaller ones). Traditional BTEs have the body of the device behind the ear. Their longer shape follows the contour behind the outer ear and can house many features such as a program button and volume control. The case is connected to an earmold by a clear plastic tube. The earmold color and style, as well as the wearer’s hairstyle, determine exactly how they’ll look on each person. 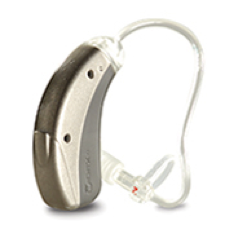 RICs or RITEs (Receiver-in-Ear) are the most widely used hearing aids at the present time. 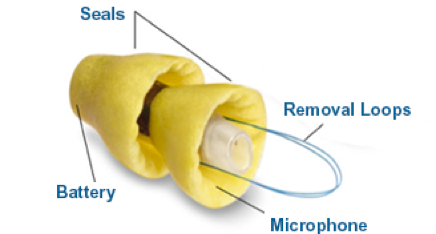 They look similar to small BTE hearing aids with a unique difference — the speaker of the hearing aid is placed inside the ear canal, and a thin electrical wire replaces the acoustic tube of the BTE aid. 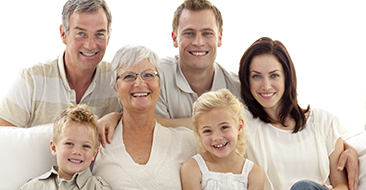 These aids offer cosmetic and listening advantages for many adults. These can be utilized as “open fit” technology. 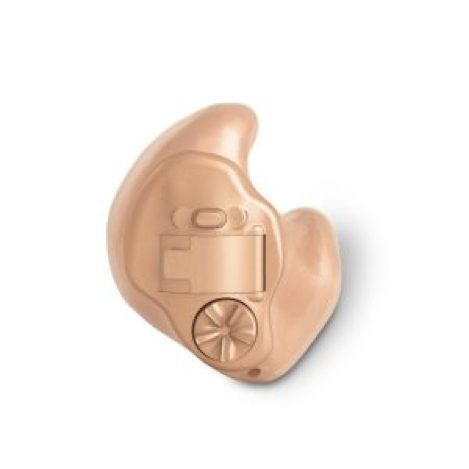 Open-fit technology keeps the ears open to sound, rather than plugging up the ear with the hearing aid. The pitches that you don’t need amplified travel normally through the ear canal, remaining natural and comfortable, while the pitches at which you have hearing loss are amplified. With an open fitting, sounds at the eardrum arrive directly from both the open ear and the hearing instrument.